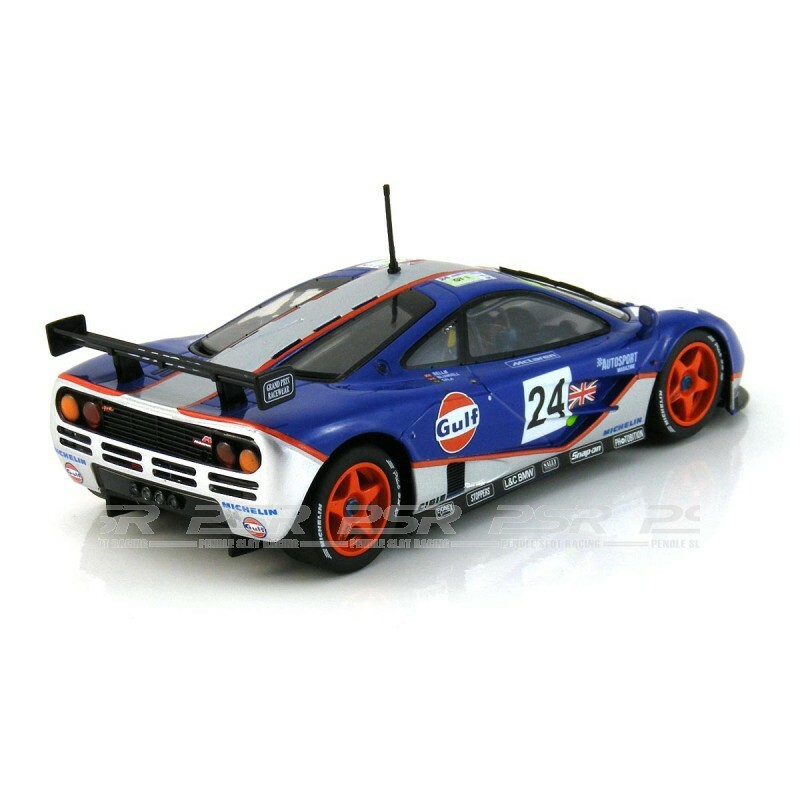 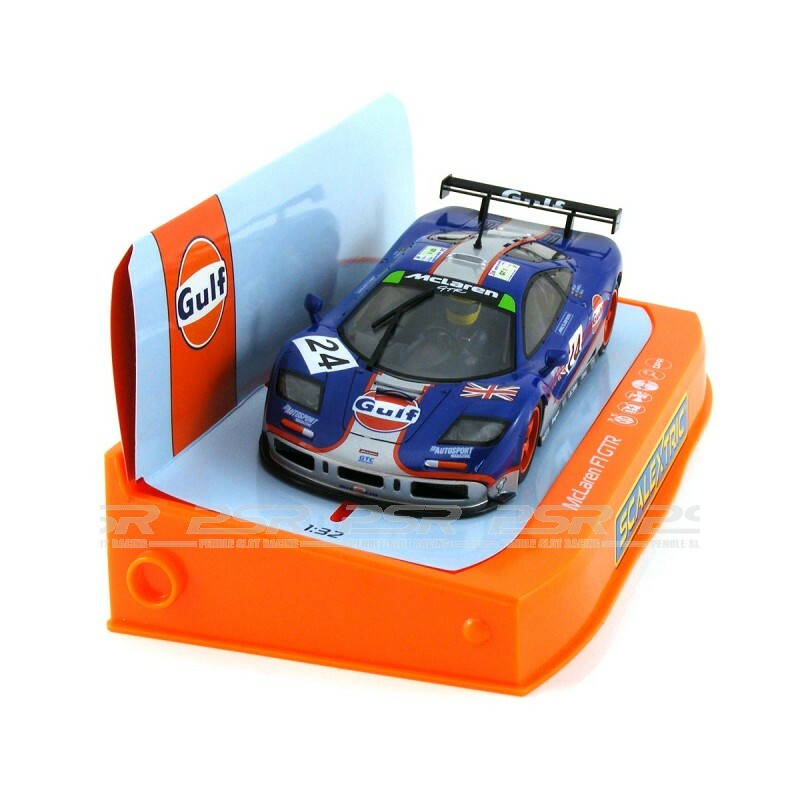 The McLaren F1 GTR No.24 Gulf Racing car from the 24 Hours of Le Mans 1995, comes in a distinctive and collectable Gulf Racing box. 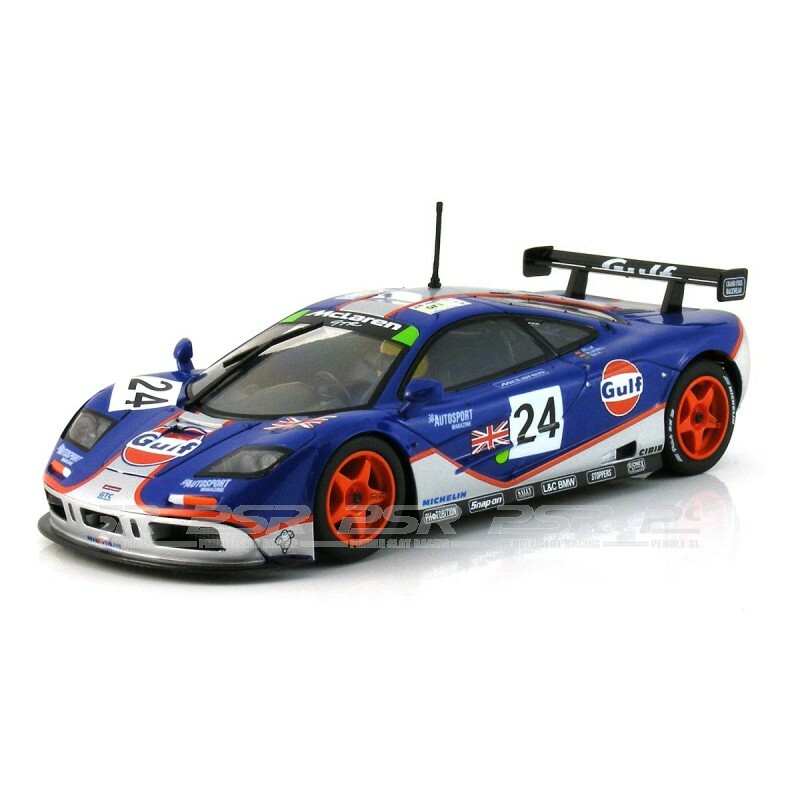 Scalextric McLaren F1 GTR No.24 Gulf Racing, 24 Hours of Le Mans 1995. 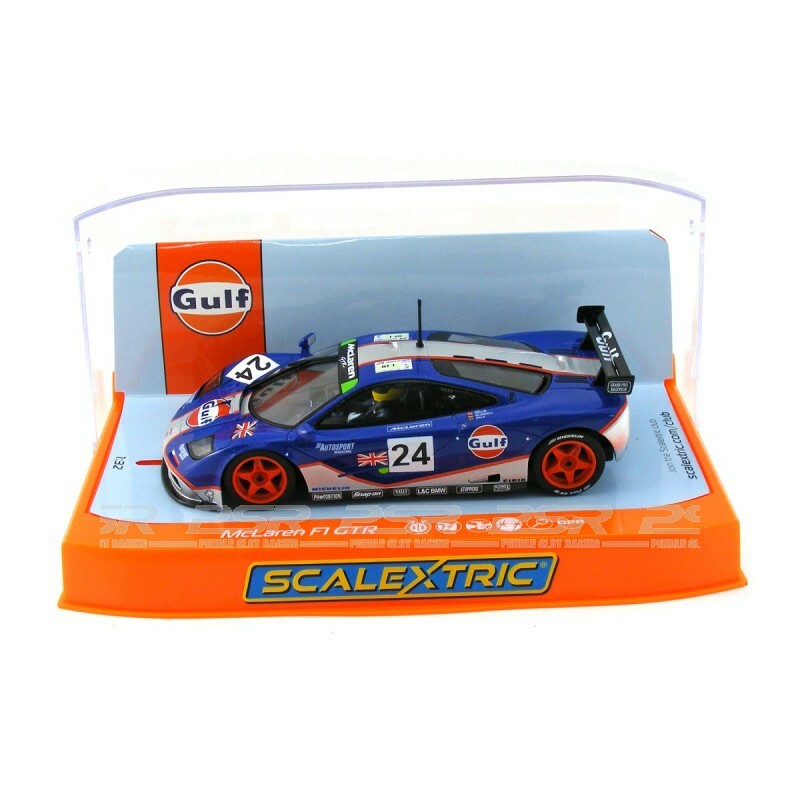 Driven by Mark Blundell, Ray Bellm and Maurizio Sandro Sala. 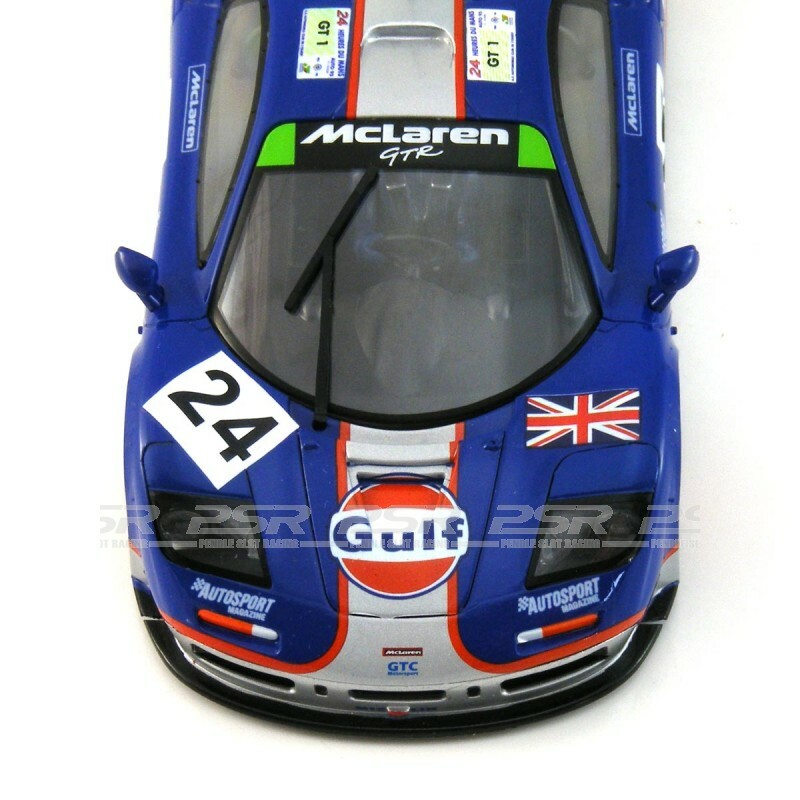 Having returned to endurance racing at Le Mans 1994, Gulf Executive Martin Allerton made the popular decision to take the blue and orange of Gulf Racing into GT racing for the 1995 season. 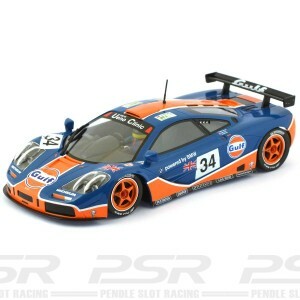 Until then, Gulf had been racing with the Kremer Porsche, that is, until Allerton met with ‘gentleman driver’ Ray Bellm who had recently persuaded McLaren to build a racing variant of the F1 Sports car. 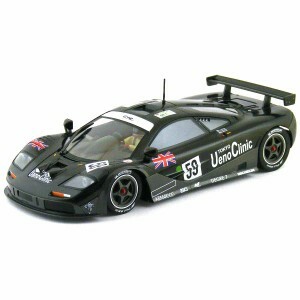 So impressed was Allerton that he signed the deal even before McLaren designer Gordon Murray had completed the designs for the new car. 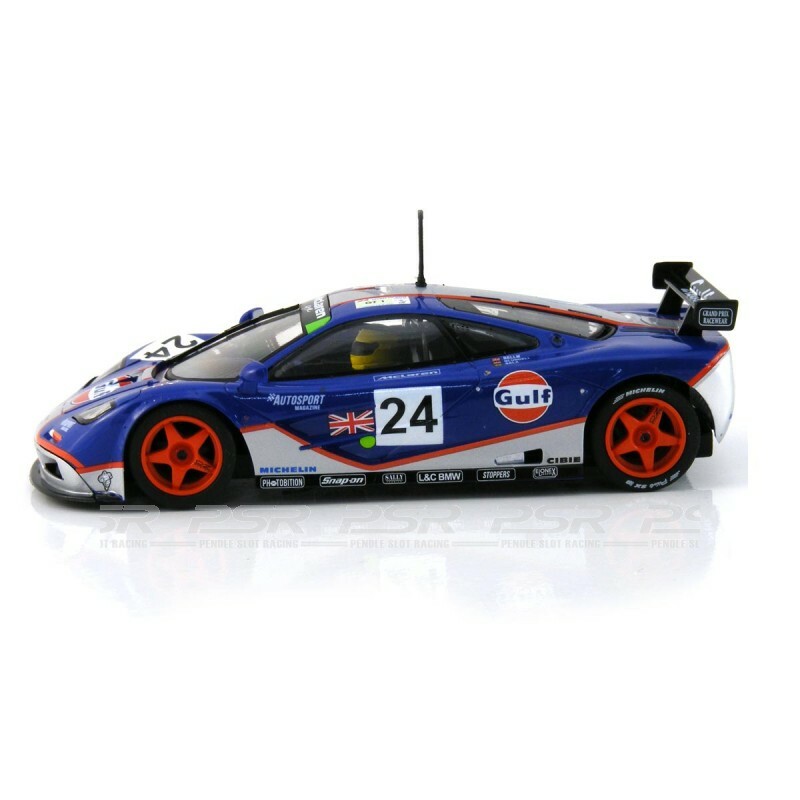 With fellow ‘gentleman driver’ Thomas Bscher purchasing the first off the production line, Bellm snapped up the second and won the BPR Global GT title with Gulf Racing in 1996. 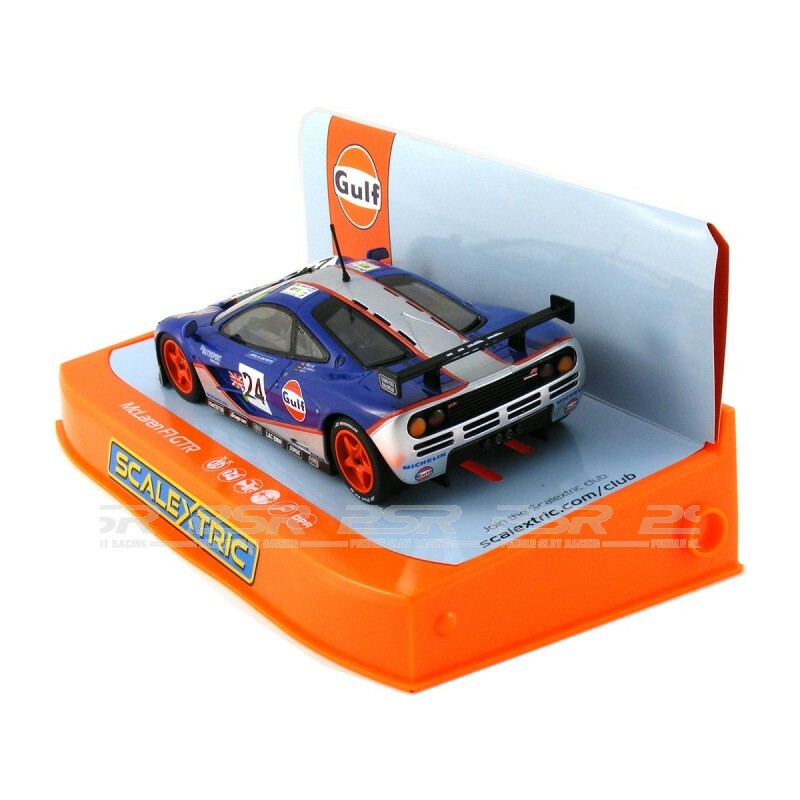 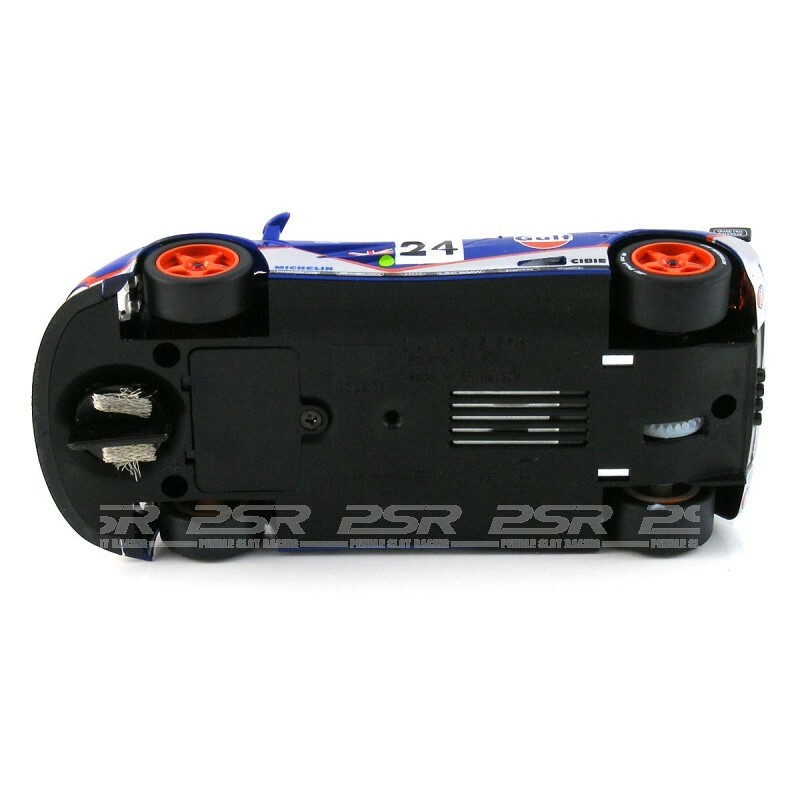 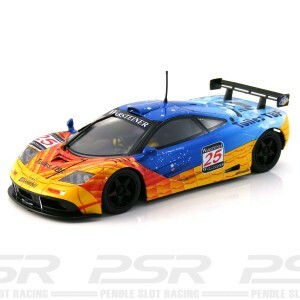 The Scalextric McLaren F1 GTR comes in a distinctive and collectable Gulf Racing box and supplied with spare pick-up braids.